We are beyond excited about this line that just arrived to Sophie's Closet. 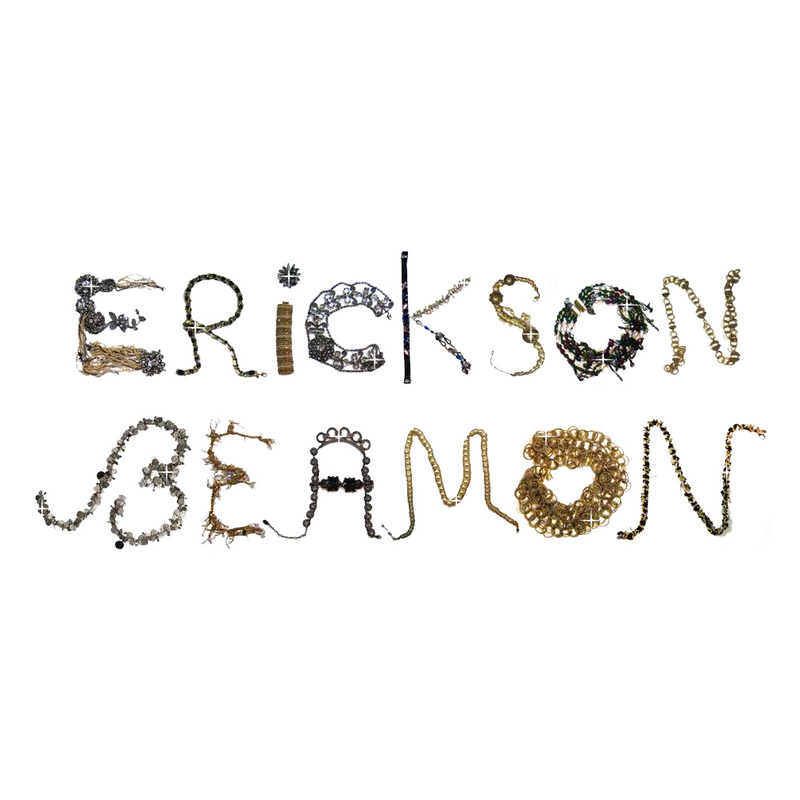 It's probably the coolest, hippest jewellery around. Inspired by opulent vintage, it's Old World elegance meets contemporary chic. 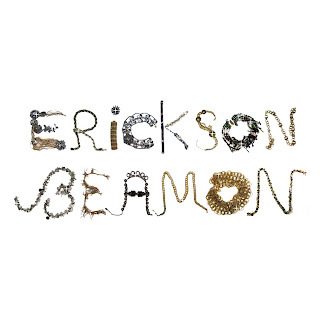 Erickson Beamon (founded by Vicki Beamon and Karen Erickson) jewellery is worn by some of the most glamorous women in the world, from classy gals like Michelle Obama and Gwyneth Paltrow to risk-takers like Daphne Guinness and Lady Gaga. C'mon, who else could have pulled off this head piece? Only Lady Gaga. Well, we didn't order the Gaga piece, but we did get some great and wearable gems. Like these sparkly drop earrings. So beautiful, very Sherman-esque vintage. We love how some of the pieces are named after famous films. 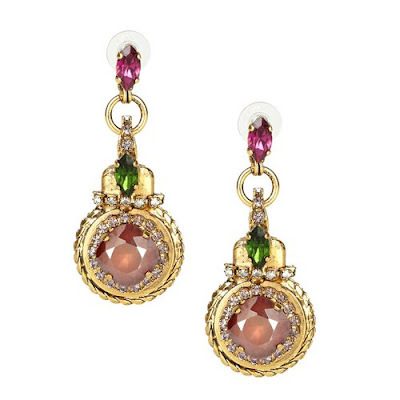 And don't the 'Great Expectations' earrings go amazingly well with the 'Dangerous Liaisons' bracelet? 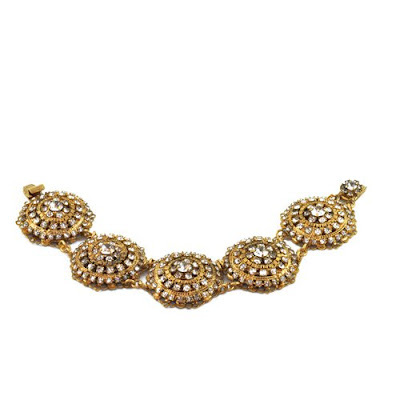 Of course, there are lots of glamorous golds and bright jewels in the collection. 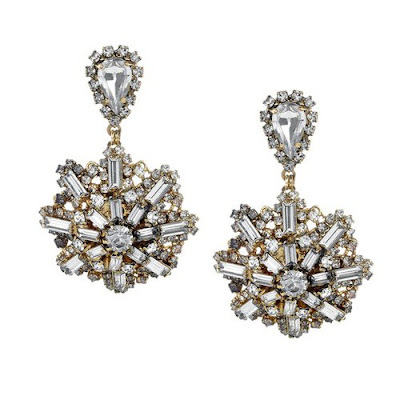 For instance, these 'Bosa Nova' earrings are about as divine as it gets. 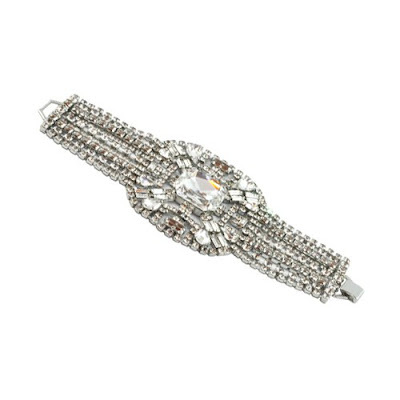 This bracelet is an absolute stunner. It could be from the 1920s (or even earlier) and many wouldn't be able to tell that it's not vintage. It looks like something Olivia Palermo would wear. We love the necklaces. They are so unique and bursting with personality. 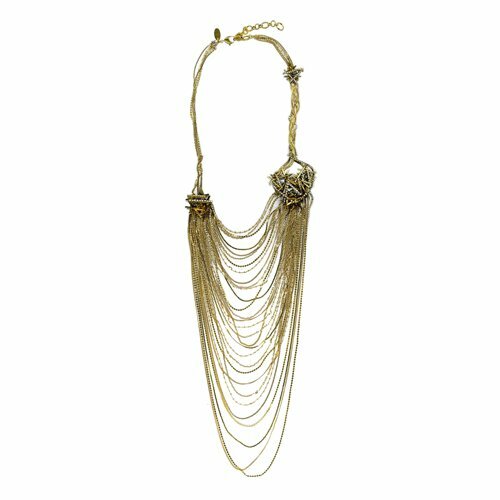 Like the playfulness of 'Gold Digger': the pendants and chains all interweaving together. We've already proclaimed our love for fringe last week. 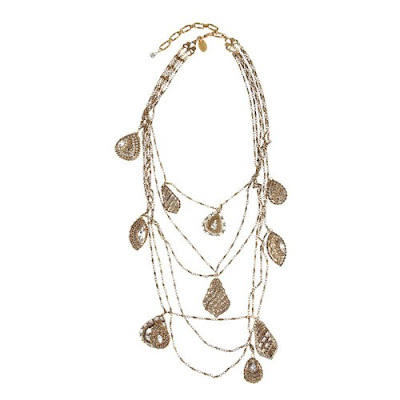 This necklace is no exception. It could go with everything, even a simple white t-shirt. Love? See more at Sophie's Closet.